A foundation is the lowest part of any structure that transfers said structure’s gravity loads toward the earth. Therefore, it’s a crucial part of any house, as it must have a very firm foundation if it wants to stand the test of time. However, even the best foundations can crack at some point, endangering the house’s structural integrity. But repairing it is not as difficult as it seems if you follow our foundation crack house repair – how to do it the easy way guide. Seeing as foundations have to sustain an entire house’s weight, they are usually rigid. But it’s that particular rigidity that makes them crack over time. 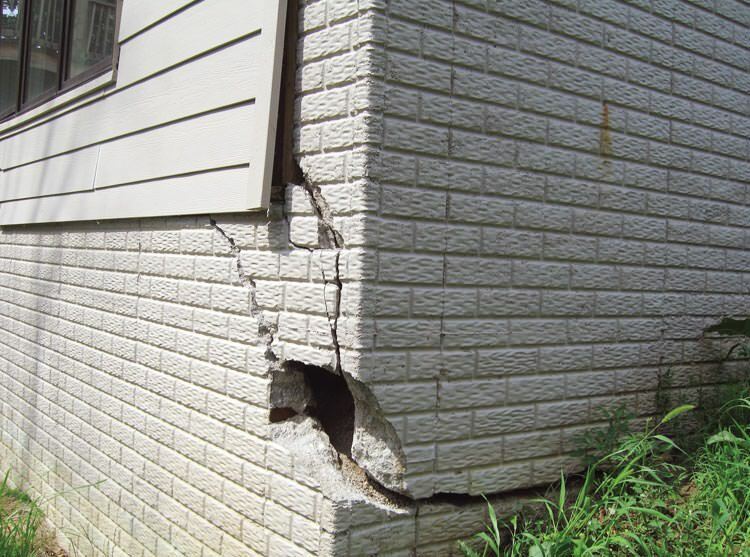 There are two types of damages when it comes to foundations – minor and major cracks. Minor cracks are normally nothing to be worried about because this is the natural way concrete manifests itself. It hardens more and more over time, and it cracks. However, that doesn’t mean you should overlook them forever. Major cracks are more serious problems that have to be dealt with as soon as you notice them. They usually indicate a massive movement in the concrete and suggest the whole structure might collapse. If on an inspection, you notice your house’s foundation has far too many small cracks or some that exceed 1/4th of an inch in width, you need to call in a specialist. A structural or civil engineer will be able to tell you how badly the structure is damaged and what was the source. Determining the source itself is just as important as spotting the cracks. It will keep this from happening in the future and offer you ease of mind regarding your home. Should the damage be more severe than numerous small cracks, the specialist you need to call is a geotechnical or soil engineer. They will not help with the cracks themselves, but he or she can tell you what happened so that you can fix the problem for good. If you decided to take care of your house’s foundation yourself, the best tip would be for you to learn as much as you can about concrete. For example, you should know that concrete, although not visible to the naked eye, is a somewhat elastic material. It expands in the hot summertime sun and shrinks back when it’s cold. Therefore, if you’re planning on fixing the foundation cracks yourself, use a filling product that gives in to some extent. It will expand and shrink along with the original concrete. The more elastic it is, the fewer cracks will reappear. For example, you can use a vinyl concrete patch. This can usually be bought dry, already packaged in a box. You can use it for cracks in foundation which are over 1/8th of an inch in thickness. 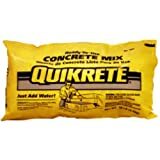 The product is called Quikrete and it’s manufactured by the company with the same name. 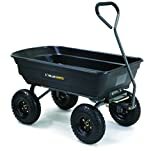 You can buy it from your local Home Depot, Lowes, hardware store or online, from Amazon. It’s fairly cheap, seeing as a 40lbs package retails for about $14. As a bonus, you can use it for stairs, concrete floors, and sidewalks as well, not just your cracked foundation. It has a quick and easy ‘just-add-water’ formula. When it comes to small cracks, you can follow these easy steps to repairing a crack in foundation. #1. Clean the damaged area as best as you can, without leaving any loose concrete chips. They will not adhere to the material you are about to pour into the cracks. If the cracks are small, you can use your hands to detach the loose chips and clear them away. Should the cracks be wider than 1/8 inches, use a hammer and a cold chisel to tear them away from the slab. #2. Mix the concrete patch according to the instructions you see on the box until it reaches the consistency of a thin paste. If permitted, mix the patch with some latex, rather than with water. This will give it a lot more elasticity, which it avidly needs, as shown above. It will also adhere better to the whole of the foundation. Be careful to mix in only a small amount of paste at a time, because most of these products tend to dry off fairly quickly. #3. Spray some water into and onto the crack. You can use a simple flower sprayer. Fill in the crack with the paste you just made. A trowel is normally used, but if you don’t have one, a spoon will work just fine. Be careful to work quickly because it will dry out. Do not skip the step of watering the crack. This ensures the dry, old concrete will absorb that water instead of the liquids in the filling paste. If the filling paste is too dry, it will not adhere to anything. #4. Excess paste is a normal thing, so you don’t have to worry if you’ve put too much in. However, you need to remove it while it’s still wet. Use your trowel or your spoon to clear away the excess and create a nice, smooth finish. Here’s a tip for this stage of the repairing process – if the concrete around the crack is rough, you can easily replicate that effect on your crack filling paste by running a broom over it. Use quick, swift brushing strokes. #5. After you are done repairing all the cracks in the house foundation, immediately clean all the tools you used, including the trowel or spoon and the bucket you used to mix the paste in. It will harden, and you won’t be able to use any of those tools again. A great tip for crack repairing is that, if you cannot find vinyl concrete patch mix, you can always use Portland concrete. Mix one part with three parts sand, add as much concrete bonding agent as it takes to get to a stiff mixture. You want it to be about the consistency of mashed potatoes. Take a bit of the mixture and combine it with more bonding agent until it reaches the consistency of soup. Brush it into the crack with an old brush and then stuff the rest of the harder mixture in there with a trowel. Give it a smooth finish. You won’t notice the difference between your original foundation and this fix. Hey Buddy!, I found this information for you: "Foundation Crack Repair – How to Do It the Easy Way". Here is the website link: https://www.explodedhome.com/foundation-crack-repair-easy-way/. Thank you.